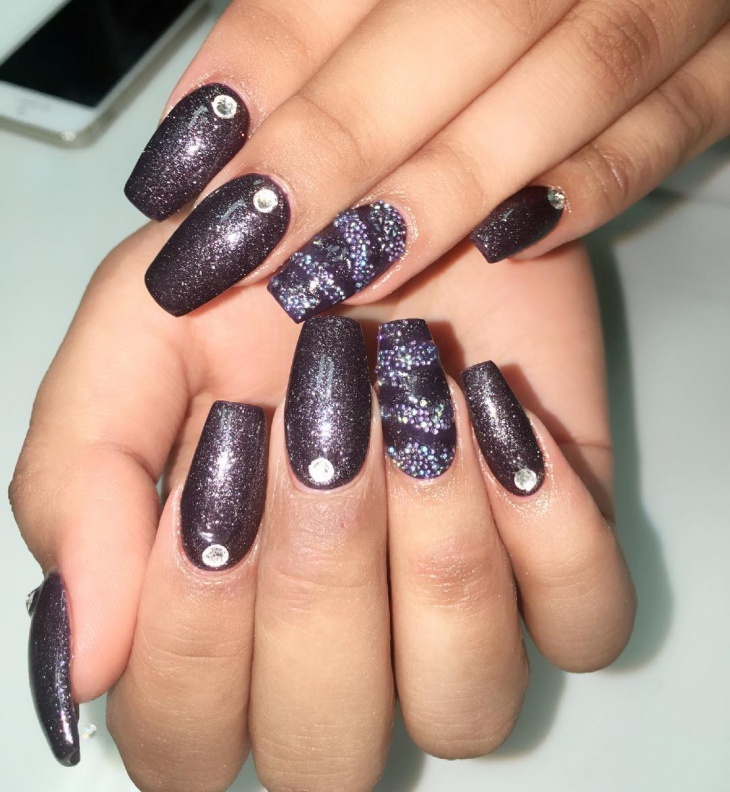 Beautiful nails are something that every woman craves for as they add a touch of sophistication to their looks. 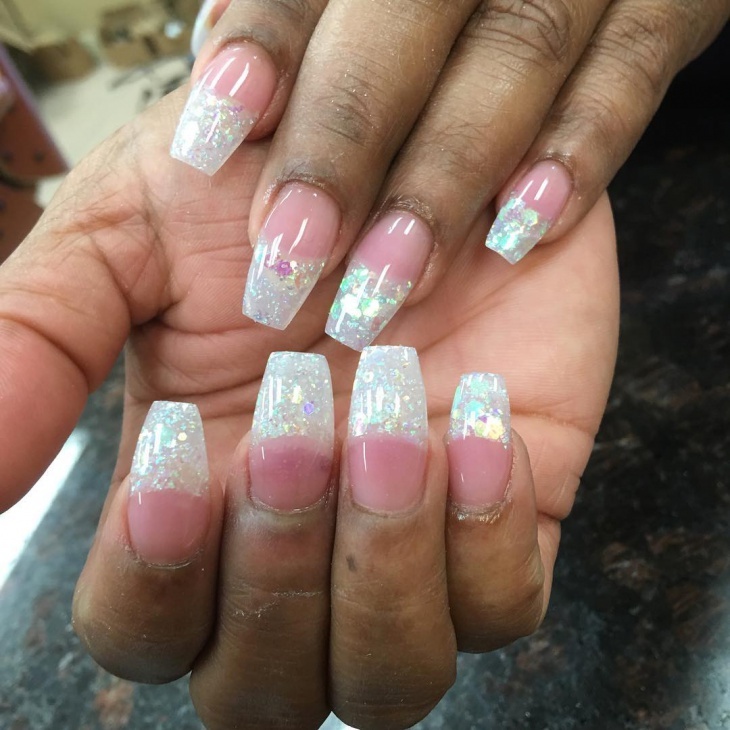 Getting beautiful nails and maintaining the quality of the nails do not go hand in hand because if you need beautiful nails, you have to compromise on quality. But, this is not the case after the entry of the concept of solar nail designs. With this amazing concept, you can enjoy gorgeous nails without having to compromise on its quality. 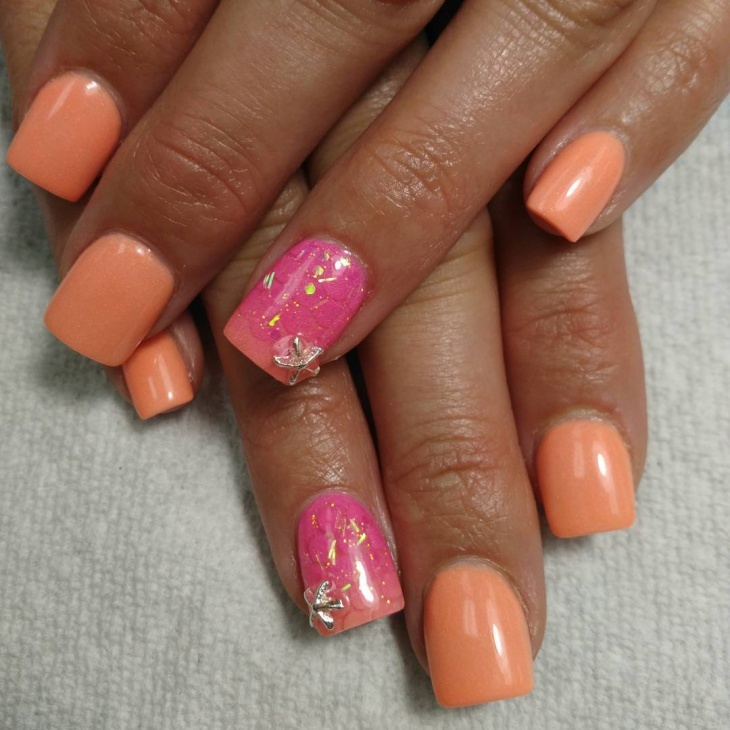 Solar nails are somewhat similar to acrylic nail designs and in fact, better than them because they are more durable. 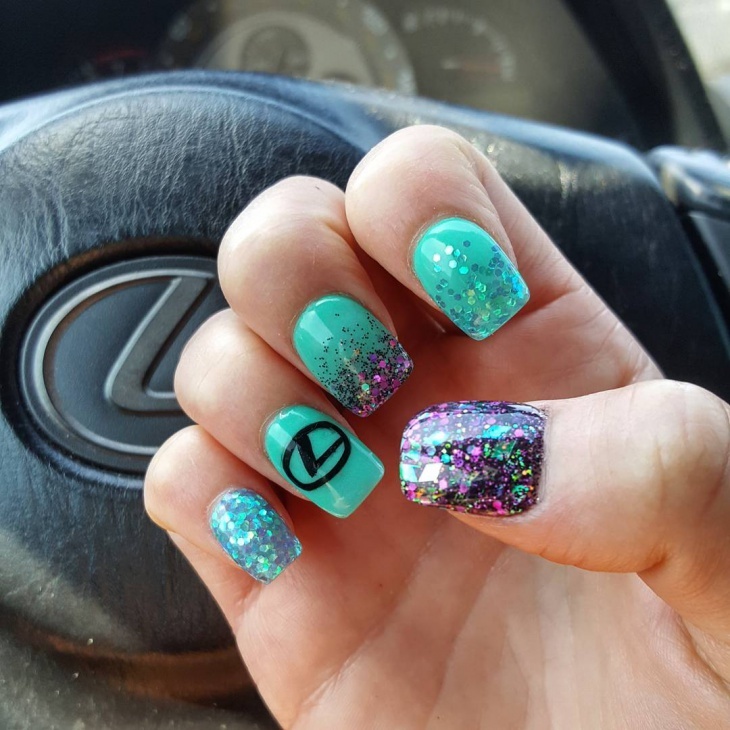 Some amazing solar nail designs are highlighted below. 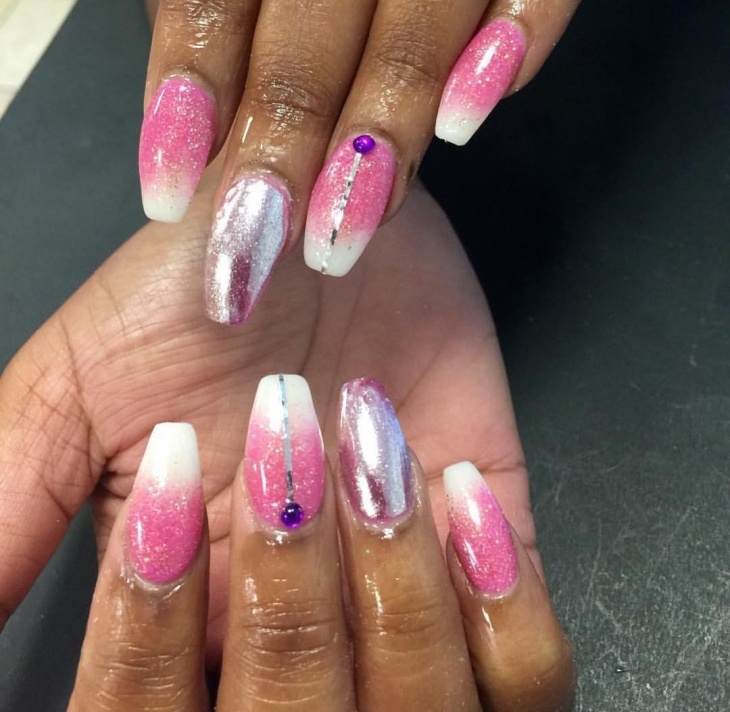 At the top spot are the pink and white solar nails. 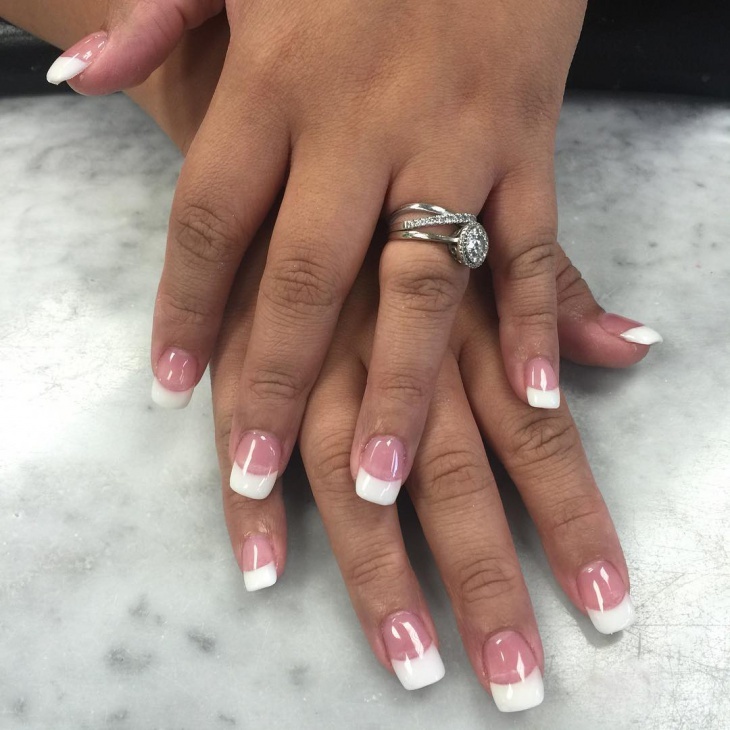 These nails are commonly known as ‘pink and white’ as they look similar to a pink and white French manicure. 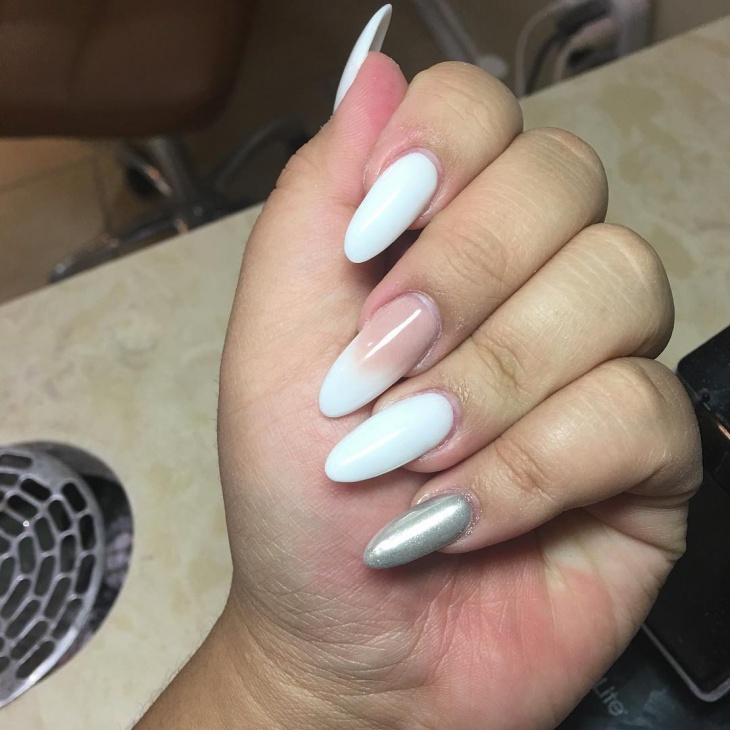 This particular nail design is for those who wish to keep their nails protected and make it look classy at the same time. 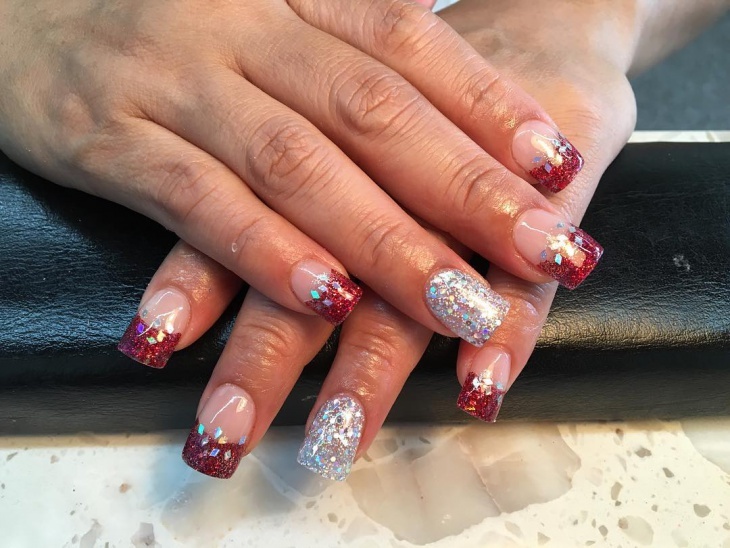 Glitter has always been a favourite among women as far as nails are concerned and if combined with solar nails, the result is simply awesome. It adds a touch of glamour to the nails and increases your style quotient. At the second spot is the solar gel nail art. In this process, a sticky gel is applied to the nail and the process is completed by getting the nail with the gel cured under a light. These are known as solar gel nails. 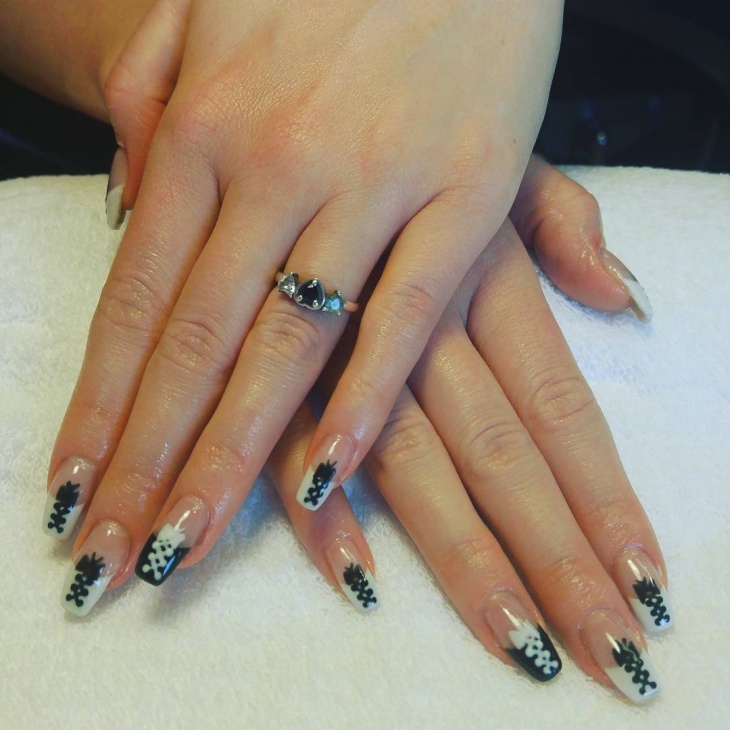 Coming up next is the black and white solar nails. The speciality of this design is that it is extremely simple and stylish at the same time. The tip of these nails is black and white in colour. Solar acrylic nails come at the fifth spot. 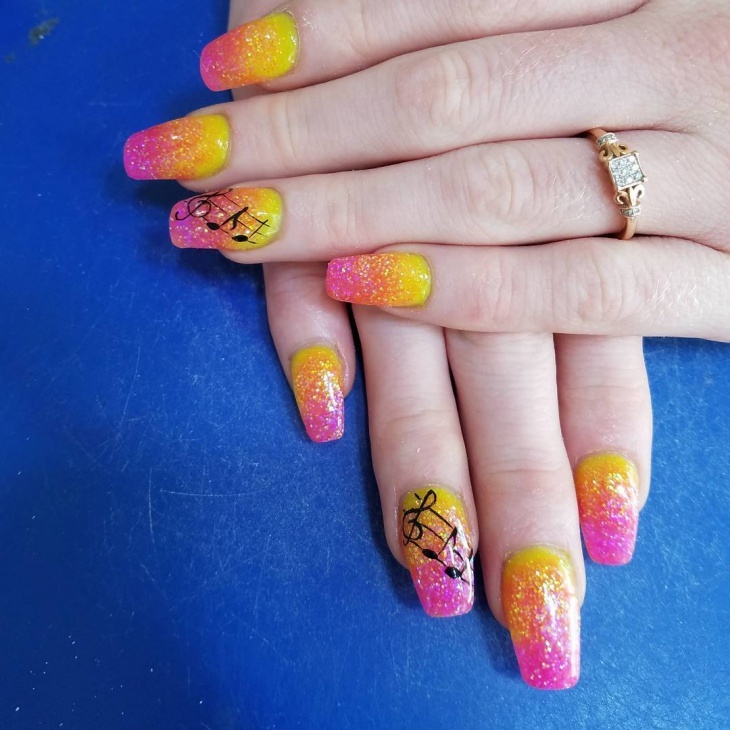 These solar nails are such that they have a touch of acrylic on them. 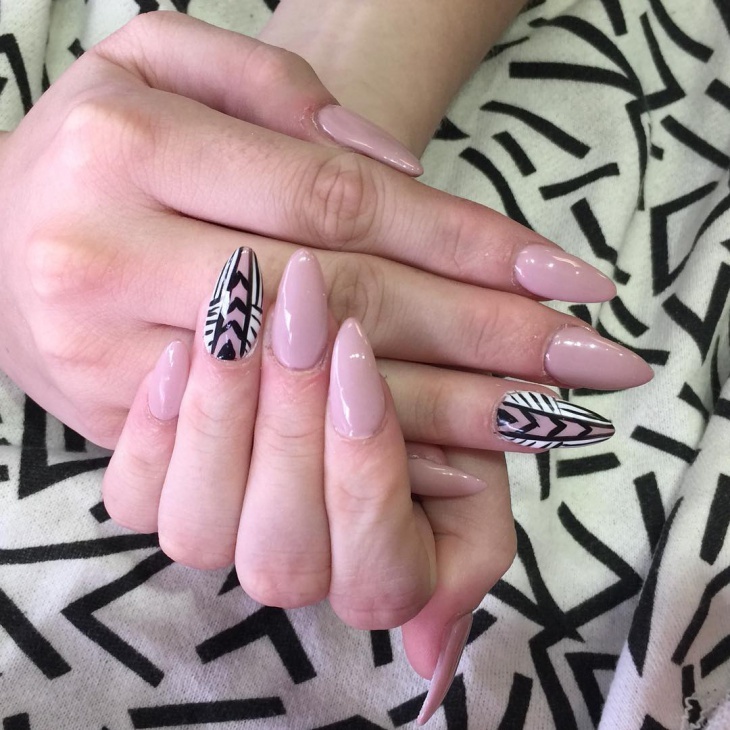 In this particular picture, the nails have a small acrylic design of leaves on them. Next up is the solar nail tip design. Once you get solar nails, you can just say bye to yellow nails. Even the colour of tip stays intact. 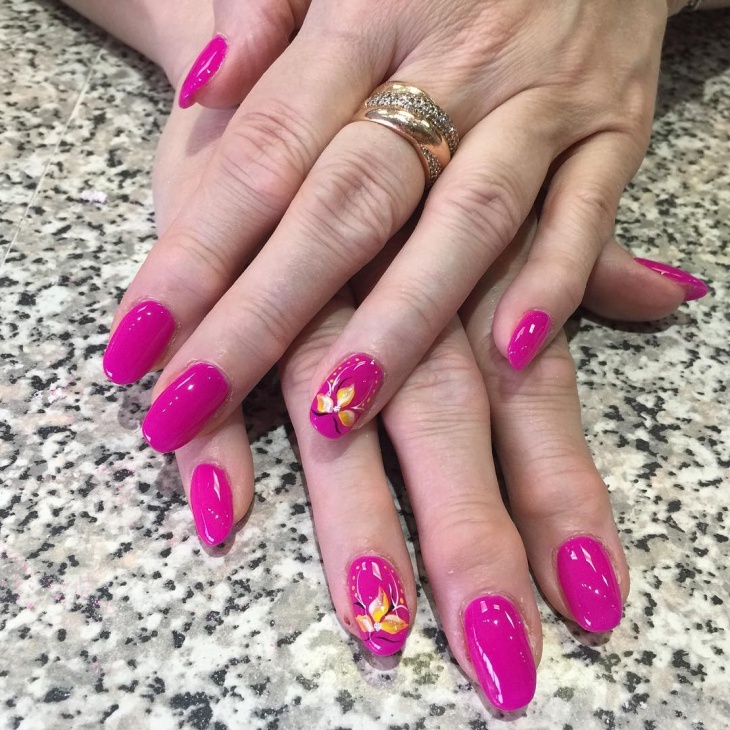 Solar nails can be refilled whenever it is required. 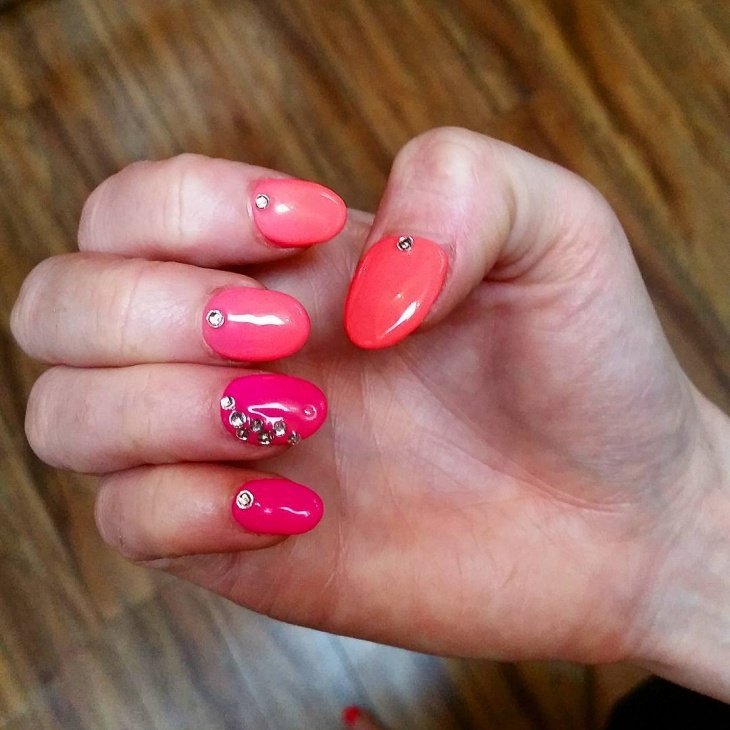 Rhinestones are a hot favourite among women when it comes to nail art as they enhance the beauty of the nails. These stones look best when applied to the base color. 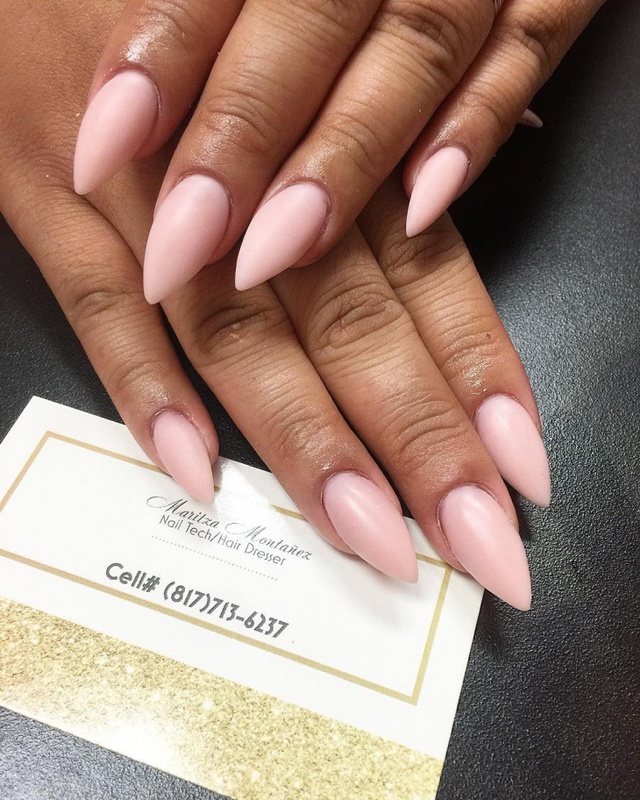 They make your nails look stylish and elegant. 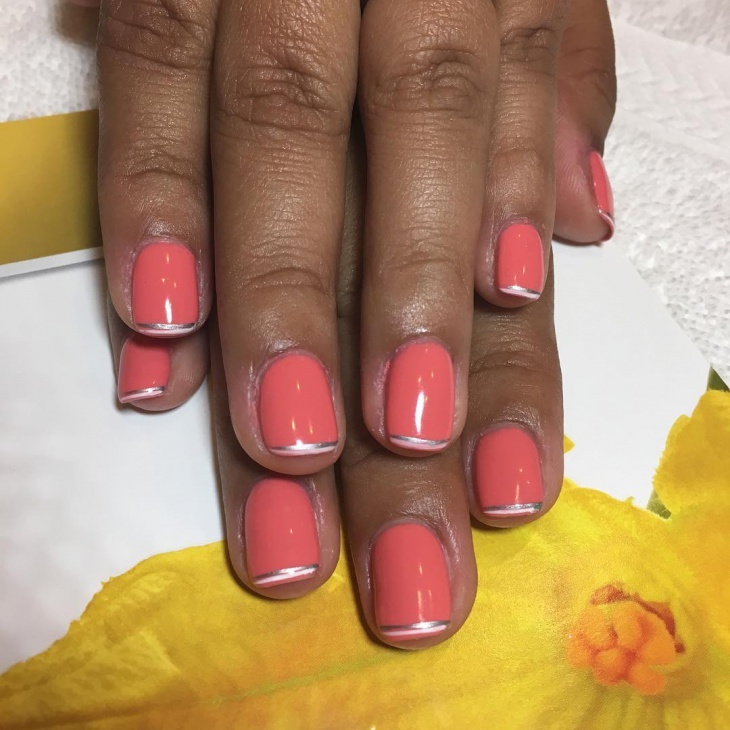 At the next spot are the solar French tip nails. 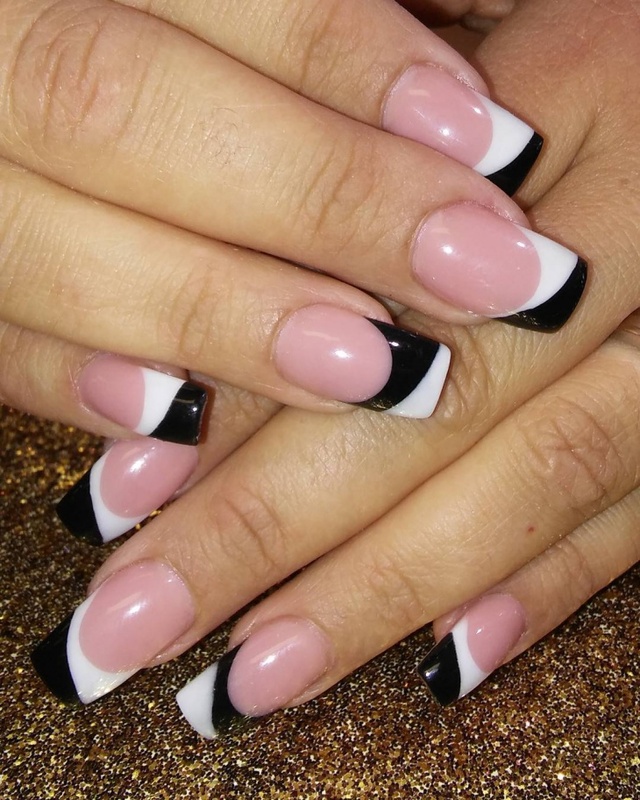 French manicure has become a very important term in the world of fashion and women are increasingly visiting salons to get amazing French tips. Another extremely wacky design is the coffin shaped solar nail design. The nail is shaped in such a way that it looks like a coffin. 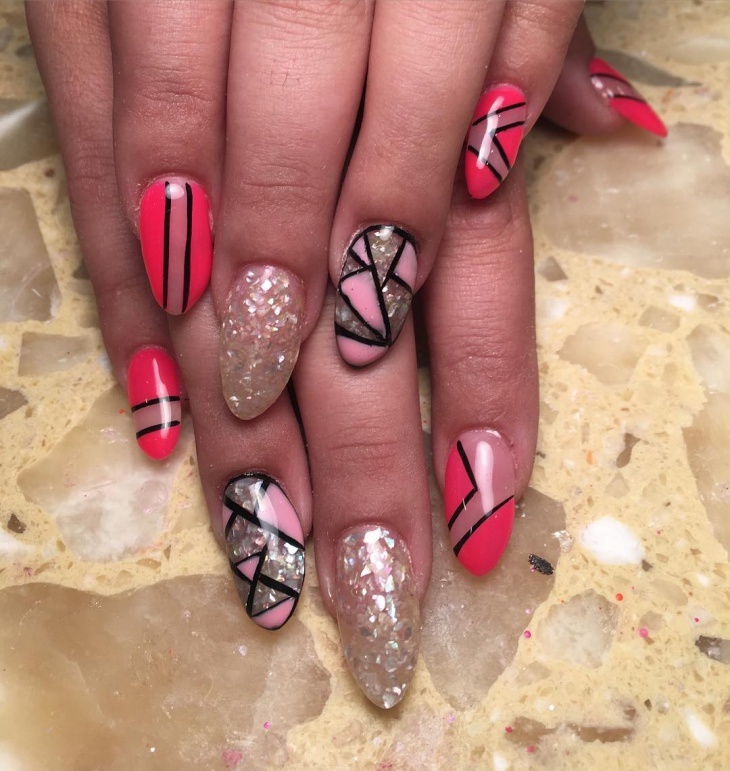 This is perfect for those individuals who wish to flaunt some out of the box nail designs. 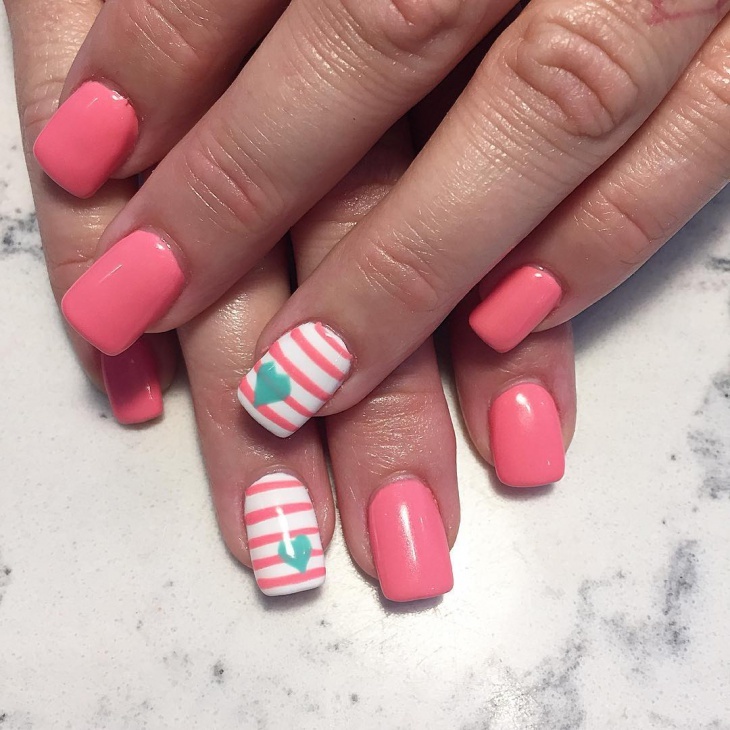 The popularity of solar nail designs has reached heights due to the ease with which it can be applied, because of its durability and also due to its amazing looks. 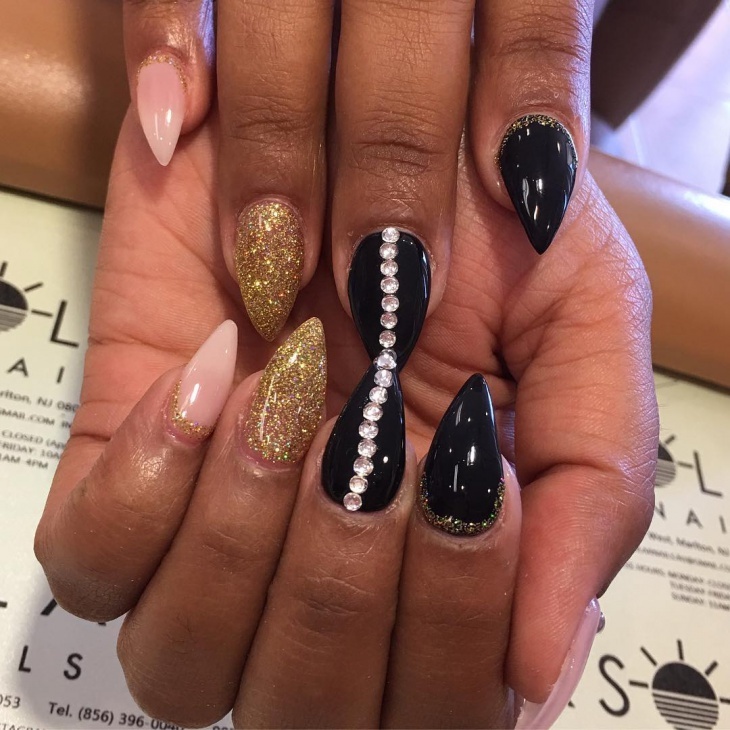 Solar nails are one of the most protective ways of flaunting beautiful nails. 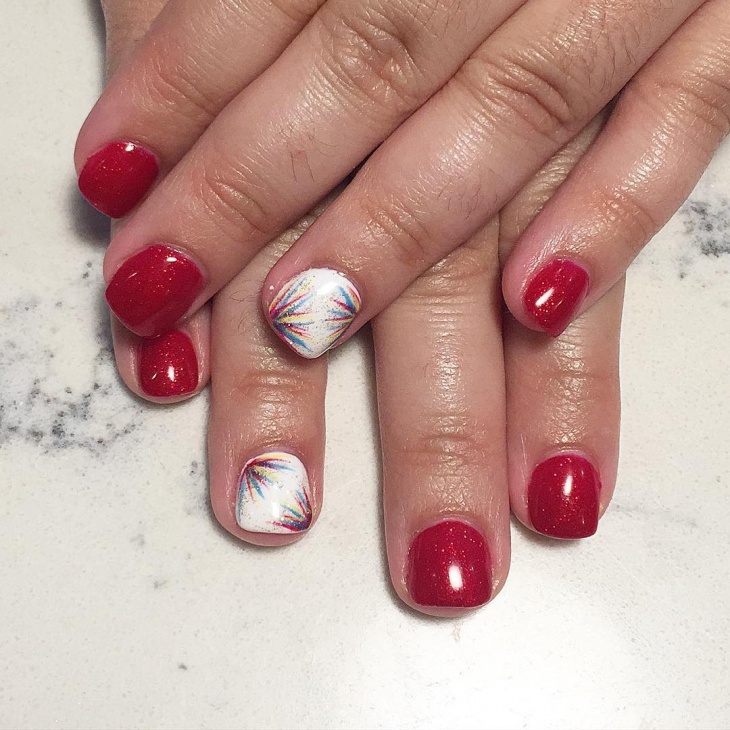 Some other solar nail designs which are extremely popular are the red nail art and dark blue nail designs. The color red has a universal appeal and is loved by most women and same is the case with navy blue.